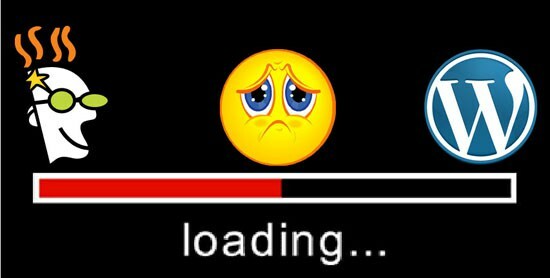 Have you ever been to a website that takes ages to load? You probably got frustrated and closed the window. Did you know that WordPress websites can have performance issues? In this article I am going to discuss WordPress sites and what you can do to check your loading times and provide you with 6 things you can do to increase your WordPress website’s loading time. First, you can check your website speed using three websites, GTmetrix.com, Pingdom Tools, and Google Insights. GTMetrix.com is a tool that allows you to test your website’s loading time. You can specify the region you want to use and the browser you want to check your website in. GTMetrix will then show your PageSpeed Score, ySlow Score, page loading time, total page time, and the number of requets. You want your PageSpeed Score and ySlow score to be an “A.” There is a list of things you might want to do help get your website speed faster. GTMetrix will list any problems or issues that they see on your website. Also, take note of the “waterfall”. This shows your plugins, scripts, images, etc. and how long they take to load on your website. Pingdom Tools is a website much like GTMetrix.com that allows you to check your website’s loading time. You can test your website speed from 6 different locations. Then you get a performance grade (0 – 100). The higher the better. Pingdom tells you the number of requests, loading time, and page size. Then you can see a “waterfall” of all your plugins , scripts, images, etc. This will display the file size and when different elements of your website load. The performance grade will provide you with a slider (0 – 100) on different elements you can improve on. The page analysis will show you how many success response codes (200 error codes), redirects (301 and 302), client error (404), server error (500), and connection errors. Then you’re provided with metrics for loading time analysis, time spent for content, time spent for domain, size analysis, size per domain, request analysis, and request per domain. Google Insights or PageSpeed Insights operates in a different way other than GTMetrix.com or Pingdom Tools. You don’t get a “waterfall” or loading time display of your websites loading time. Instead, Google Insights checks your websites speed with both a desktop version and a mobile version. You are then provided with a 0 to 100 number for both mobile versions and desktop versions. Really, it makes no difference which one you use; GTMetrix, Pingdom Tools, and Google Insights all act the same way. The numbers are going to be different on each site. For the most part, they do all do the same thing, measure your websites performance metrics. The first reason your WordPress website might run slowly is because you’re using a host that isn’t using SSD hosting, or has way too many websites on a single shared server. There are a lot of companies that put thousands of sites on a single server. For example, GoDaddy is known for doing this, and a developer at iThemes Chris Jean has pointed this out. Also, if you read through the GoDaddy hosting reviews at tbwhs.com you will find that a lot of their customers have been complaining about slow loading websites or frequent downtime. If you’re using a shared server and your still having problems it might be time to upgrade to a VPS or dedicated plan. A VPS plan will have more resources (CPU, RAM, etc.). A dedicated server will only use your website and no other websites. The big drawback to dedicated servers is they cost several hundred dollars per month, though. Once your website starts getting about 100 visitors each day, you really need to consider installing a WordPress caching plugin. Caching is used to drastically decrease the loading time of your website. This makes a static page of a dynamic page of your website. Therefore, you are using less resources and the server workload isn’t being used as heavily. There are a number of good caching plugins, both free and paid that you can install. People often ask the question how many plugins should you install on your website? The truth be told, you should install as few plugins on your website that you need to make it functional. This could mean removing a few plugins that are using too many resources. You can use one plugin that has multiple functions and get rid of a couple to help reduce the website loading time. Some WordPress plugins actually don’t play well with each other. You could be running a plugin that has known issues with other plugins. You can go to the WordPress forums and see if anyone else is reporting issues with plugins you might be using. Also, a good way to troubleshoot plugin conflicts is to disable them all and then enable them one by one to find out which WordPress plugins are having conflicts. Some WordPress themes are not very quick and your loading time can be diminished. For instance, a lot of the free WordPress themes use old HTML, improper PHP, etc. These themes could become outdated as WordPress rolls out newer versions. Therefore, it’s smart to invest in a premium WordPress theme from a trusted developer like Genesis, Elegant Themes, iThemes, etc. It’s not a good idea to host your own videos on your server. These videos can take hundreds of megabytes of space and use gigabytes of monthly bandwidth. Therefore, you should use services like YouTube, Vimeo, etc. to upload your videos. Then once you have uploaded your videos onto their servers you can embed them on your website. I think there could be more points in this article to elaborate things in more detailed manner. This is because a person has less knowledge will not be able to leverage this to truly speedup the website.